The studio will be closed for the winter season except for private parties! Schedule yours today! Otherwise, we will see you in March 2019! Private Parties are always so much fun at The Studio. Send a PM on the Facebook page today!! Please contact Trisha to see the painting she selected and the details of this event. Festival painting is not for the faint of heart, but it is great fun! I hope you come out and let me create an amazing design for you to enjoy while you're riding rides, gambling or enjoying family! Designs will be provided for children and adults all weekend long! Once again the Rebel Saints Face Painting Team will be at the Old Fashioned Independence Day Celebration at The Preble County Historical Society for their party and firework show! The Cincinnati Circus trapeze and strolling magicians return! Exhibits, children’s games, face-painting, bounce houses and food and merchandise vendors begin at 5pm. 2019 Hall of Honor Inductions at 6:30. Evening Music by Flat Out. Then FIREWORKS!! 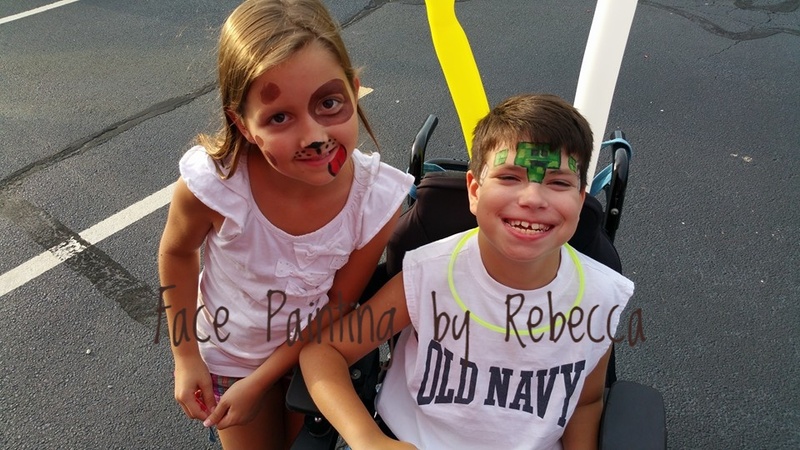 Any face painting design will be $5.00! Hope you can join us!! I will be stepping up a pop up jewelry booth filled with your favorite $5.00 jewelry at the Community Festival!! Hope you can attend there will be lots of exciting vendors, food and more!! Rebel Saints will be face painting at the Family Fun Day at Greenmont Elementary. Any single design will be $3.00. Hope you can join us!! Please contact Ashley to see the painting she selected and the details of this event. Sometimes you simply have to get a tattoo on your face! The studio will be closed to the public. This is a private event! Please contact Whitney for the painting selected and more information about the part. Each $10 paid ticket receives the art instruction, all needed supplies, & your 8 x 10 art canvas to take home with you. Space is limited. Hope you can join us as we recreate this painting onto a 16 x 20 acrylic canvas! All art and paper supplies will be provided so everyone goes home with a fun addition to their Valentine’s Day decor! Each $25 paid ticket receives the art instruction, all needed supplies, & your 16 x 20 art canvas to take home with you. Space is limited. When you make your online Pay Pal registration, you hereby confirm that you have read and agree to all of the terms listed on the frequently asked questions tab. Hope you can join us as we recreate this painting onto a 16 x 20 acrylic canvas! All art and paper supplies will be provided so everyone goes home with a fun addition to their Christmas decor! BLACK FRIDAY SPECIAL: $15 per canvas! Reserve your seat before the price goes back to the normal rate!! Please contact Betsy to see the painting she selected and the details of this event. THIS CLASS IS CLOSED! Join us another time! We would like to invite everyone to an Awesome Adult Person and Me night at the Kettering Church painting this beautiful co-operative painting together. Hope you can join us as we recreate this painting onto 2 11x 14 acrylic canvases! All art and paper supplies will be provided so everyone goes home with a fun addition to their Christmas decor! Each $35 paid ticket receives the art instruction, all needed supplies, & two 11 x 14 art canvases to take home with you. Space is limited. These couple paintings are so much fun. The cost of the painting will be $35 and $10 of every painting pair will go back towards the children’s ministry! Hope to see everyone for a fun night supporting something that would mean so much! This event is not available for the Black Friday Special as it a fundraiser to raise money for a worthy cause. Please contact Katy for the painting selected and more information about the part. Please contact Jessica to see the painting she selected and the details of this event. Please contact Whitney to see the painting she selected and the details of this event. Well, me too! Join me in the studio to have a look around and create some super cute Flying Keys!. Make them all have clear wings or a variety of colors. Give them as a gift or keep them all to yourself! Whatever suits your fancy! Cost: A $5.00 studio fee for 1 Flying Key or $10 to take home 3 Keys! Please contact Penny to see the painting she selected and the details of this event. We will be apart of the Hart Homes event in Miamisburg, Oh, in which we are offering free hot cocoa and photos with Santa in exchange for a canned good item to be donated to Bogg Ministries. We are having some select style vendors at the event to allow some of our guests to shop with Santa! It is Sunday, 2 December, from 1-4pm. Come out! Shop. Get face painted. Come out and shop over 30 plus vendors and crafters for all your holiday shopping needs! We will have direct sale companies, home made items, and more! Rebel Saints will be offering $5 face designs during the shopping extravaganza!! Make sure to buy tickets for our raffle prizes too! The money will go to support your Oakview Elementary PTO!! MONDAY NIGHT MADNESS! $5.00 off the regular price! Hope you can join us as we recreate this image into a 16x20 acrylic painting! 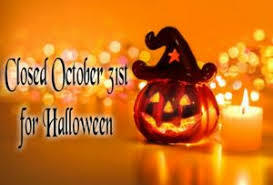 All art and paper supplies will be provided so everyone goes home with a fun addition to their halloween decor! Each $20 paid ticket receives the art instruction, all needed supplies, & your 16 x 20 art canvas to take home with you. Space is limited. Private Parties are always so much fun at The Studio. 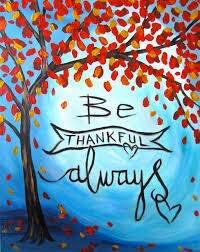 If you set up a private class and have 6 attendees + yourself, YOU GET TO PAINT FOR FREE!! Send a PM on the Facebook page today!! Please contact Donna to see the painting she selected and the details of this event. Please contact Rita for the painting selected and more information about the part. 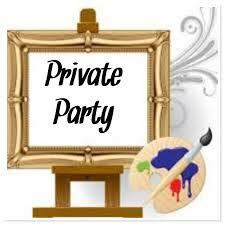 This is another AMAZING PRIVATE PAINTING PARTY!!! Please contact Anna for the painting, the location and all the details!! This event is for the 6th grade grey cheerleaders! Come paint drink wine, have snacks and shop with 6 different vendors: Mary Kay, LipSence, Thirty-One, A&M Sweet Creations, Origami Owl and Color Street! Please contact Chrissy, Jessica or Samantha for more information. Each $35 paid ticket receives the art instruction, all needed supplies, & your 16 x 20 art canvas to take home with you. Space is limited. Let's have some fun together and learn how to make these super cute Flower Fairies! 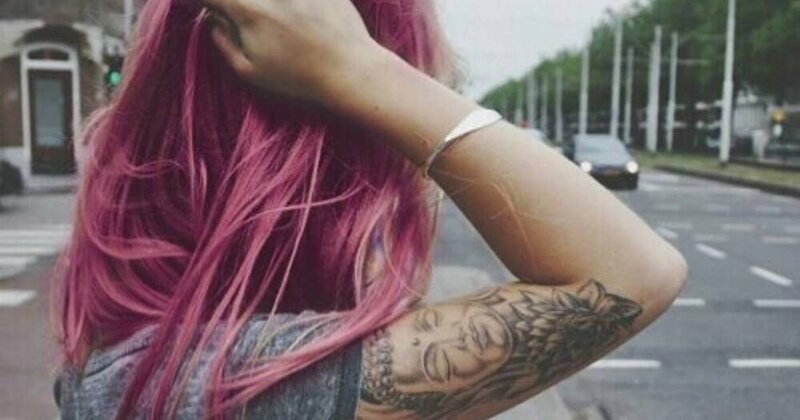 You can custom yours to have just the right hair color, along with a variety of flowers will be offered in a array of different colors to make yours your favorite. Where: The Rebecca's Attic Studio in Kettering. The studio will be unavailable due to scheduled private face painting. Ghost and ghouls will be getting ready for halloween in the studio! Hope you can join us as we recreate this painting onto a 16 x 20 acrylic painting! All art and paper supplies will be provided so everyone goes home with a fun addition to their halloween decor! Monday Night Madness! Come create this cute kitten on a pumpkin for only $15 on an 11 x 14 canvas! Perfect for little ones. There will be a template if you need to use it! Each $15 paid ticket receives the art instruction, all needed supplies, & your 11 x 14 art canvas to take home with you. Space is limited. Come down to Gypsy’s for our Voodoo Halloween Party! -Enjoy New Belgium beer variants on draft! 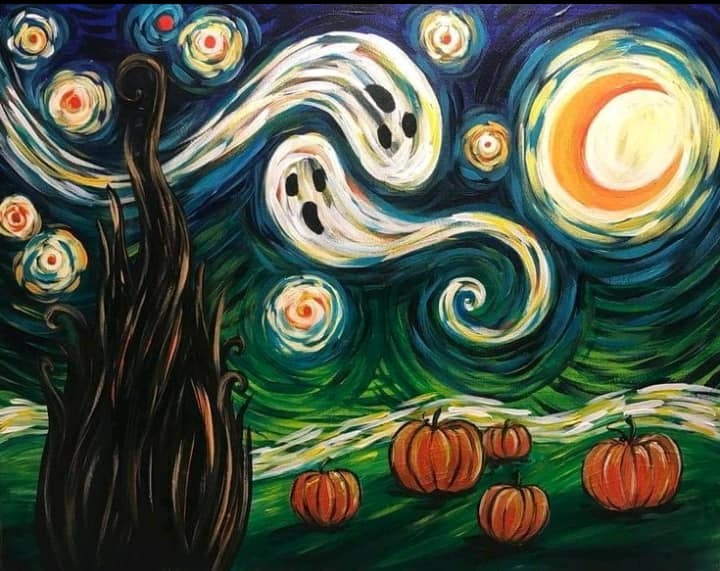 Hope you can join us as we recreate the Halloween Sisters on a 16x20 canvas! All art and paper supplies will be provided. This is a must have for your halloween decor!